In October, the University of Alabama in Huntsville student chapter of AMS (UAHuntsville AMS) hosted its first Rocket City Weather Fest (RCWF), a free weather festival for the North Alabama community. For its debut year, the fest had close to 300 in attendance, as well as more than 50 exhibitors and presenters. At the Wacky World of Weather, kids learned about hurricanes, tornadoes, hail, and floods. Other activities included weather-themed movies in Sci-Quest’s Roaming Dome, a planetarium style inflatable theater, plus a weather miniature golf and beanbag toss. 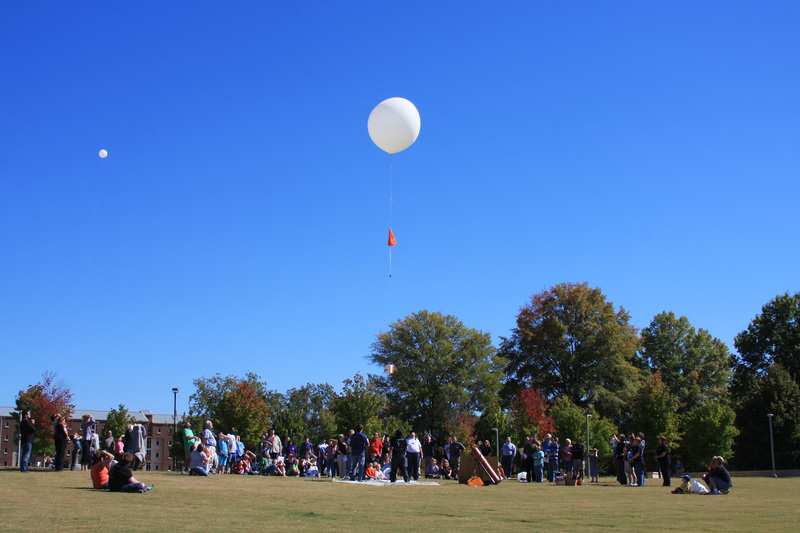 Attendees were also given the opportunity to see a weather balloon launched by the UAHuntsville atmospheric chemistry research group. RCWF is the chapter’s newest endeavor in community outreach. 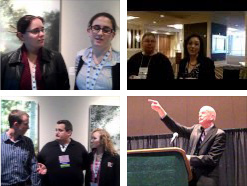 Members, who are undergraduate and graduate students in pursuing careers in atmospheric and earth sciences, also speak at local schools, judge regional and state science fairs, administer tests for the Science Olympiad, and program weather radios at various events.